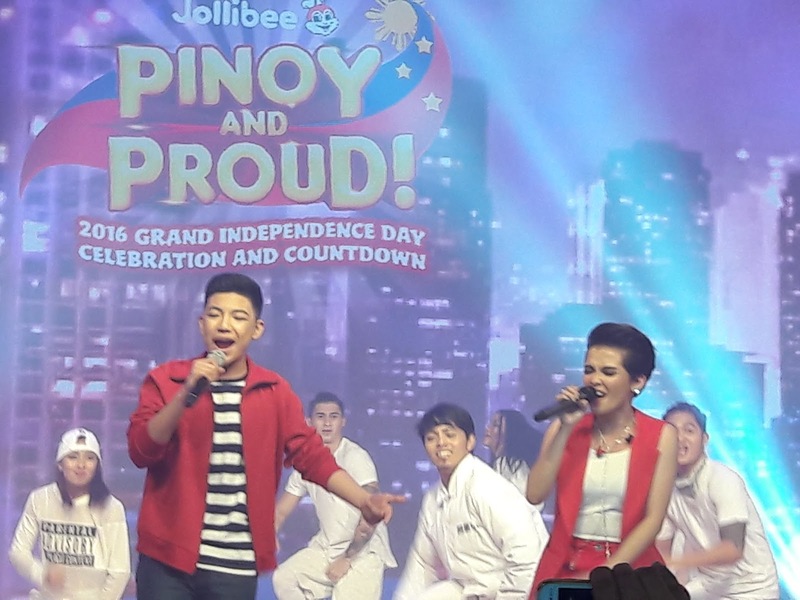 This year Jollibee decided to celebrate our independence day by throwing a star studded countdown celebration at the Metrotent in Pasig City. With the tagline Pinoy and Proud, the celebration was graced by a lot of well known showbiz personalities. #PinoyandProud - The hashtag you can be proud of! The event stood up to its tag line Pinoy and Proud when our very own local talent provided us electrifying performances. The stage was graced by the presence of some of our Brightest OPM Stars. To name a few were Sarah Geronimo, KZ Tandingan, Darren Espanto, Itchy Worms, Spongecola and a lot more. Celebrity Endorsers Jodi Sta. Maria and son Thirdy, Karmina, Zoren and the Legazpi twins are also present during the Jollibee 2016 Grand Independence Day Countdown. You can also be Pinoy and Proud through your T-shirts as Jollibee and Uniqlo collaborated to give us 5 new tshirt designs that will show how Pinoy and Proud we are. The new T-shirt designs would be available nationwide starting June 20. There is nothing more Filipino than a family sharing a bucket of our favorite crispylicious, juicylicious Chickenjoy! This month our favorite Chicken Joy will be served in a limited edition #PinoyAndProud Independence Day bucket. On the bucket design you’re going to see a very Filipino Jollibee and friends as they are seen wearing Barongs and Filipinianas. Sarah G. performing on stage! Some of the highlights of the event were the introduction of the Jollibee Viber sticker pack 2 which can be downloaded for free this June and the new Jollibee theme song performed by Darren Espanto and Rachelle Ann Go. Wath the latest music video of Jollibee and know what its like being a Filipino. Video courtesy of Jollibee’s Youtube page. 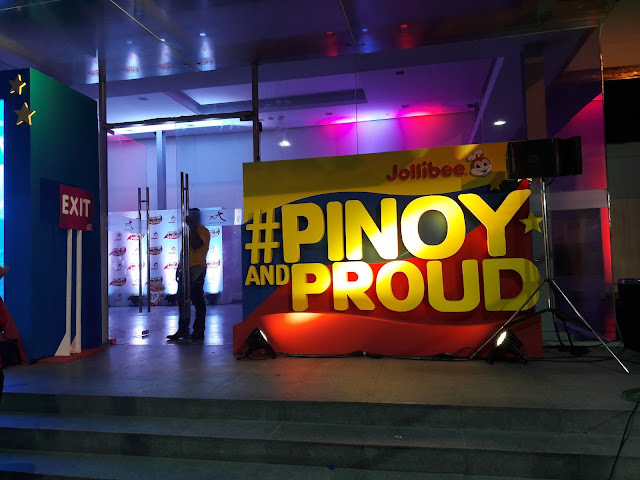 Indeed the event gave us the reason to be Pinoy and Proud so visit your nearest Jollibee Store to experience the fun of being a Pinoy!